Did you know our annual Ice Show is an event open for ALL skaters? We have routines created for every level including Intro to Skate, CanSkate, CanHockey and STARSkate. We strongly encourage skaters of all levels to join in the fun by participating in our Ice Show! Practices for the Ice Show will commence immediately following the end of our Winter Session, with practice schedules handed out during the last week of regular skating (in April). The dress rehearsal is scheduled for Friday, April 28th and we have two Ice Shows on Saturday, April 29th: 1:00pm and 7:00pm. Don’t miss out – this year’s show is expected to be bigger and better than ever – we’re celebrating 50 years of GSC! Click here to download the Ice Show registration form! If you have any questions you can email info@georginaskatingclub.org. Don’t forget, we’re on Facebook! 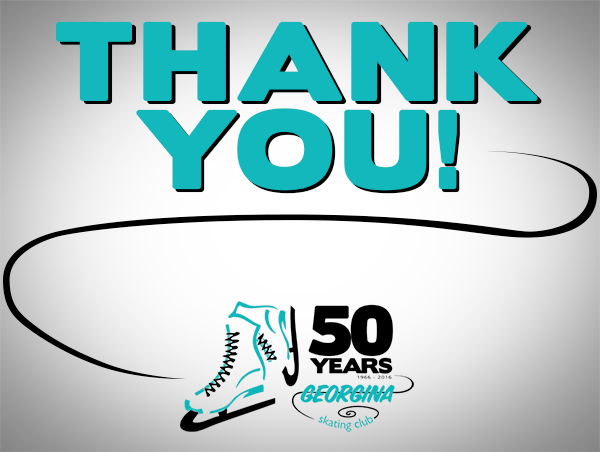 Head on over because we’ve created an Event page for our 50th Anniversary Celebration – including the 2017 Ice Show! More information will follow in the coming weeks!